Rusty reds, browns and dark greys. Only available in Washington State and Canadian K2 Stone locations. 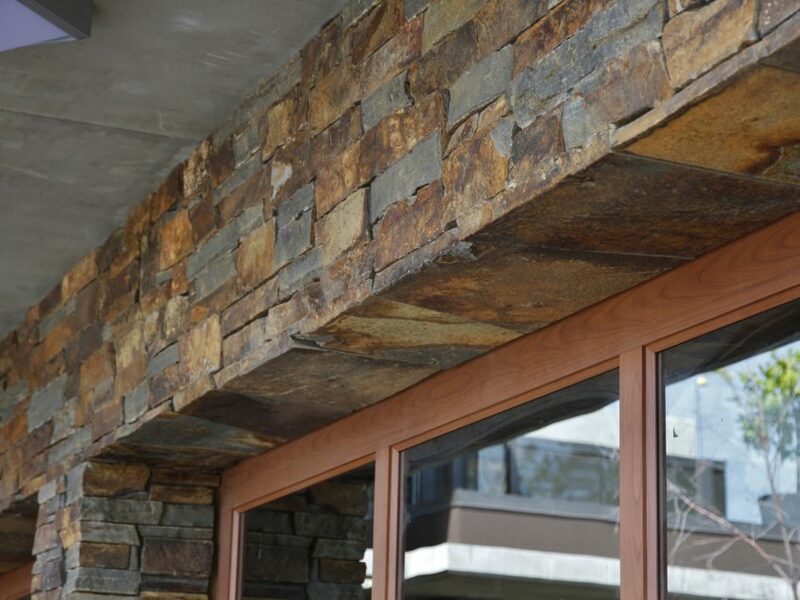 Autumn Flame Ledge Stone Veneer is a versatile natural product that can dramatically improve the appearance of any home. Because it blends well with wood, natural colours, metal and glass materials, this product can be used to spruce up both modernist and traditional dwellings. Autumn Flame is another one of our signature Montana profiles that provides a unique Chief Cliff color and texture. A blend of rusty reds, browns and dark greys, this ledge stone profile highlights clean angles and a linear flow. It's available in 1" to 3" face heights and 3" to 10" lengths, and comes in full bed and thin stone flats and corners. Used on the exterior of your home, this product can be applied to half or full walls, columns and porticoes. Placing this material around a front door creates a memorable and impactful main entrance. Apply the stone to multiple areas on your property, such as a new build garage or addition, to create harmony and cohesion to your home. Natural stone building materials provide a lifetime of durability, which complement all types of architectural styles, finishes and colors. Landscaping can also get a lift from the careful use of Autumn Flame Ledge Stone Veneer in outdoor rooms, around fire pits and outdoor fireplaces, on BBQ’s and kitchens, and on garden features such as retaining walls, support columns and gates. This product is just as stunning when used inside to elevate your home's design scheme. Use it to create feature walls in family or living rooms, and recreational areas – especially if there's a fireplace. Surround your fireplace with the rich and vibrant stone from floor to ceiling and you’ll have a dramatic and luxurious focal point to enjoy year round. Autumn Flame Ledge Stone Veneer also looks great in the kitchen or bathroom for a touch of warmth, old world charm and organic beauty. Warm deep tones naturally make the human body feel comfortable, warm and hungry, perfect for the kitchen. Consider our beautiful stone to be a feature in your home, not only a finish. 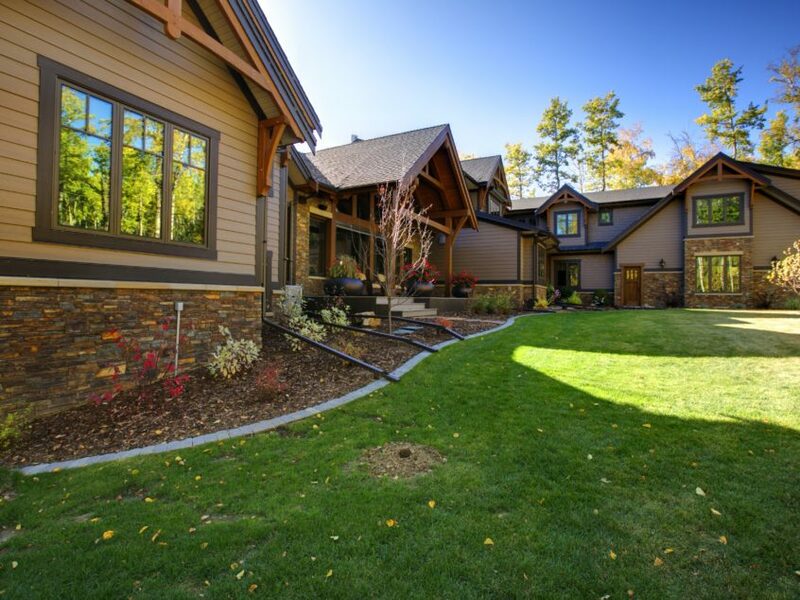 With its earthy color and texture, natural stone veneer has a lot to offer on both exterior and interior design plans. Whether you're highlighting the existing architectural elements of your home, or looking to add interest to more generic designs, Autumn Flame Ledge Stone Veneer is a beautiful, versatile and hard-wearing option. at our brochure to learn more. TALK WITH AN EXPERT. We can help you find the perfect stone for your projects.